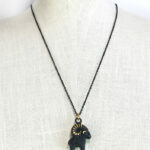 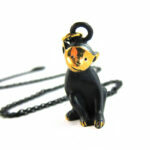 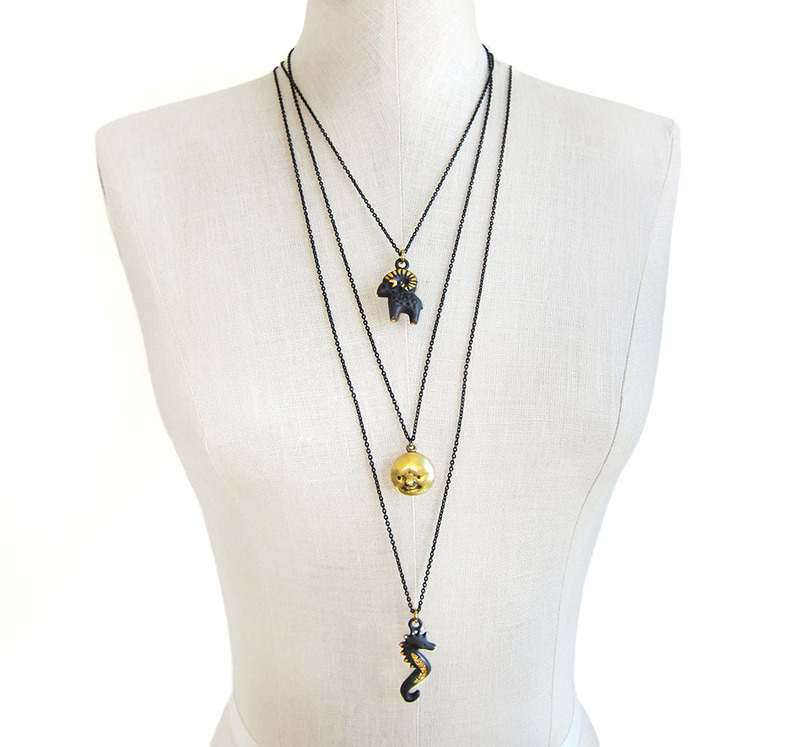 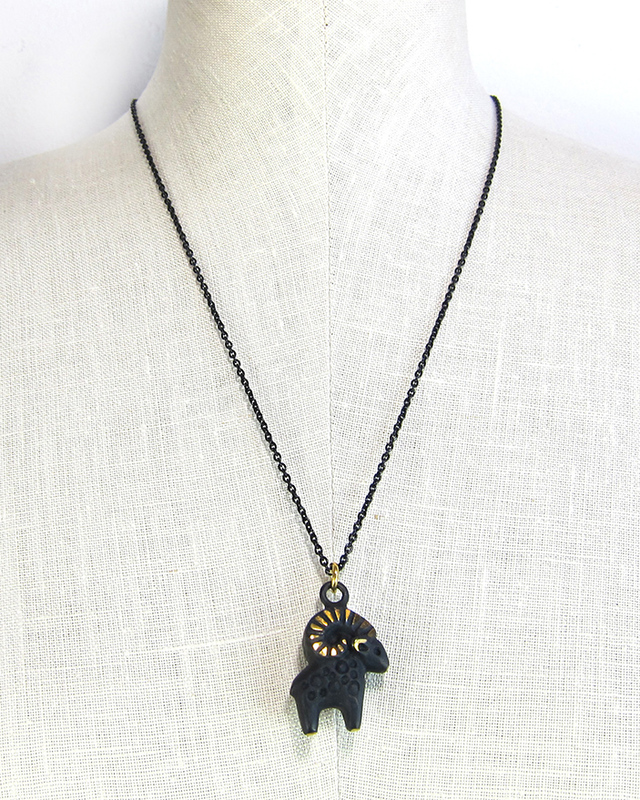 THE SALE IS NOW UP ON FAB.COM! 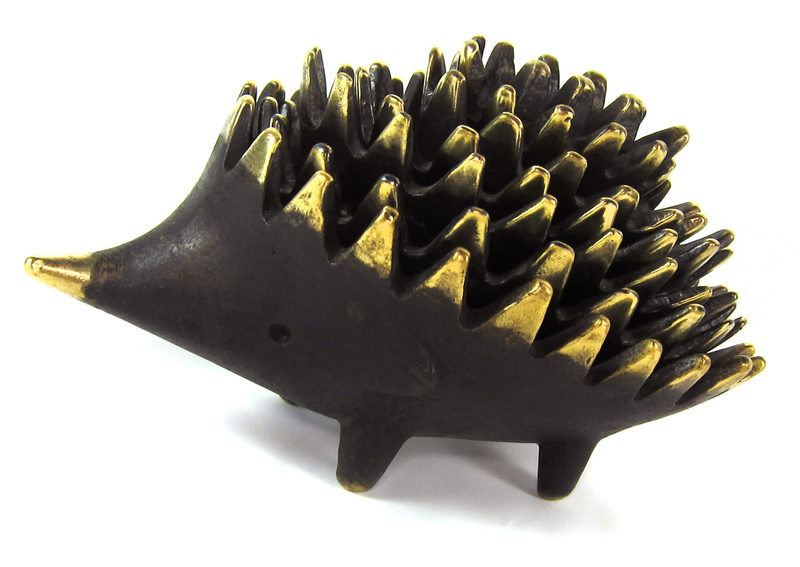 And now, proudly reintroducing Walter Bosse’s legendary nesting hedgehog ashtrays. 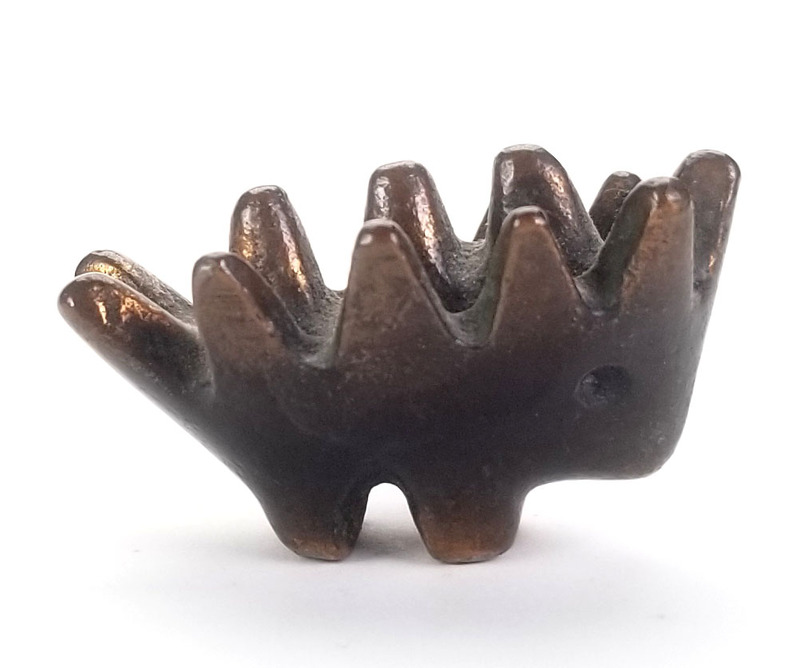 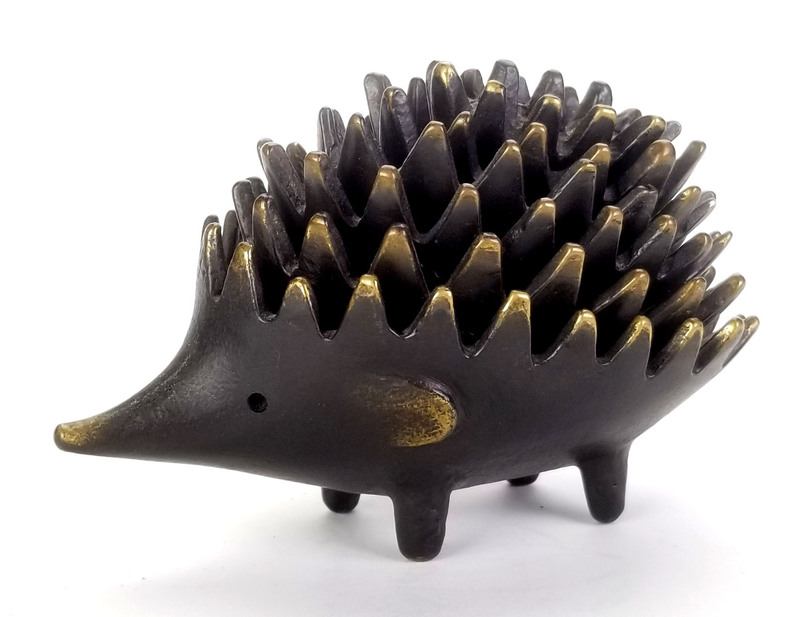 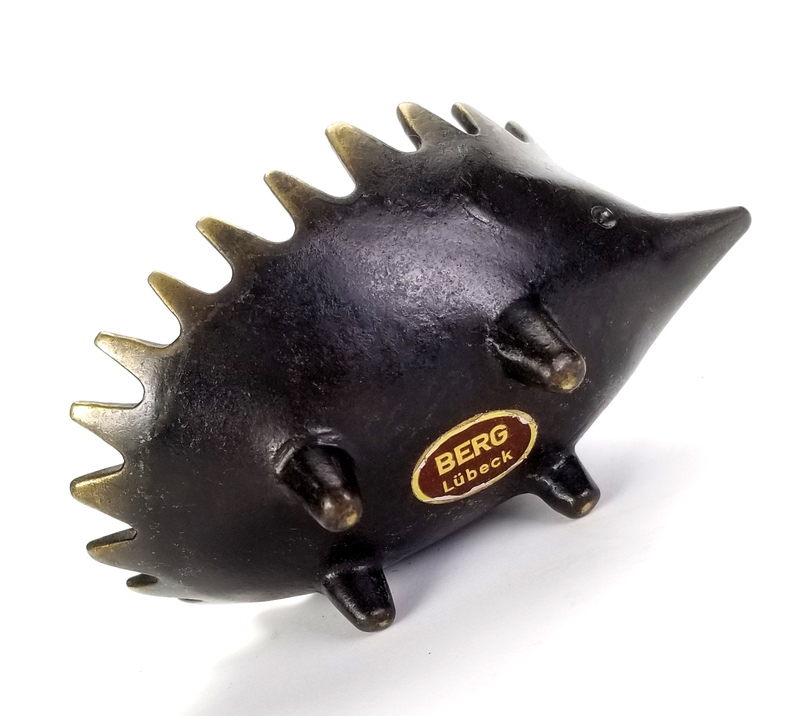 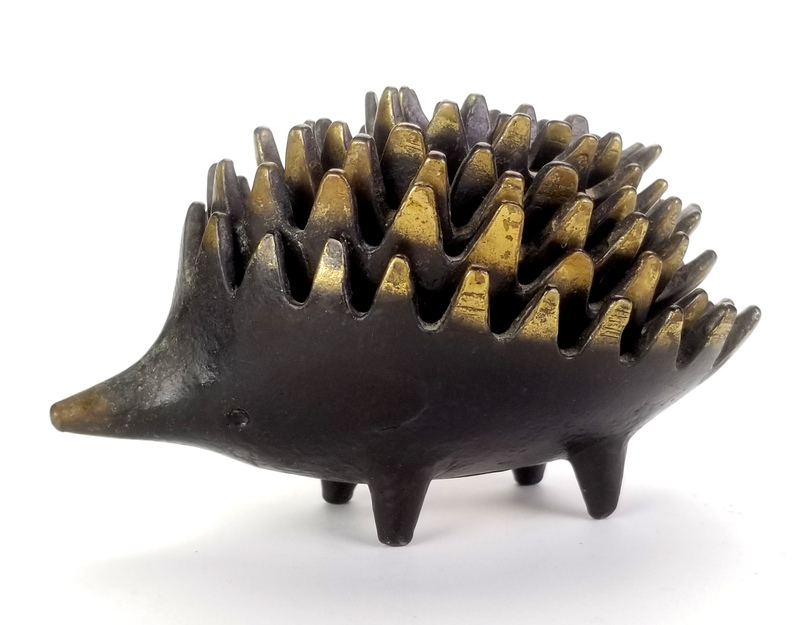 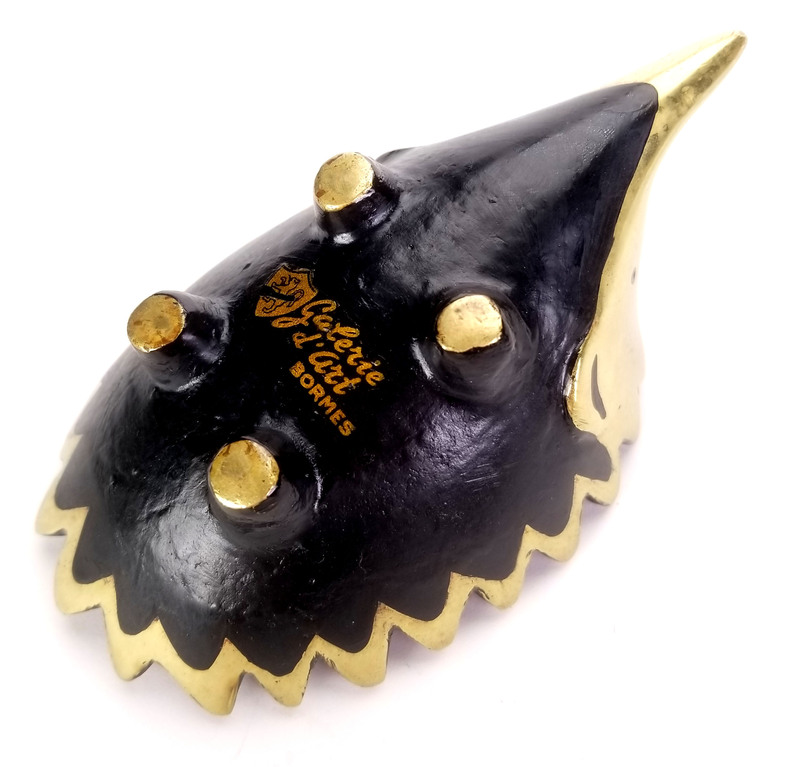 Modern Vienna Bronze has released a limited edition of 20 sets of Walter Bosse’s iconic six nesting hedgehog ashtrays, with handmade wooden crates and letterpress-printed certificates of authenticity. 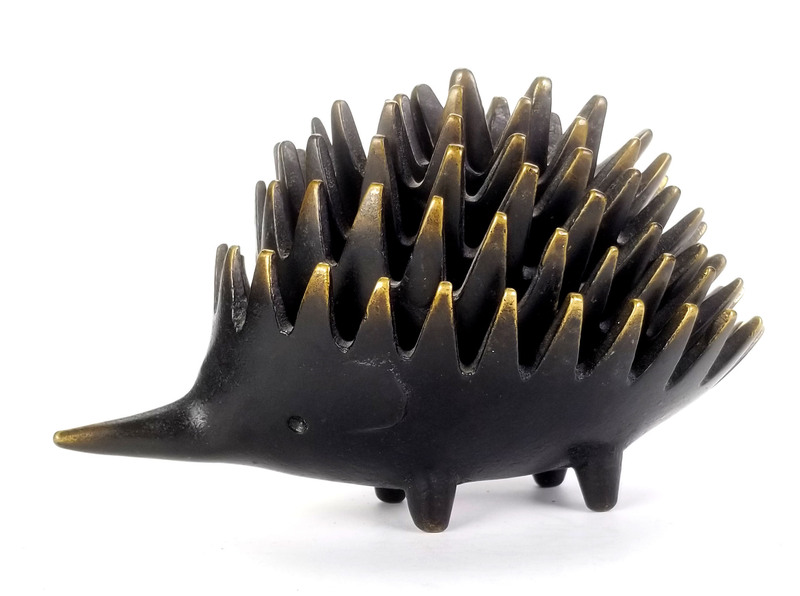 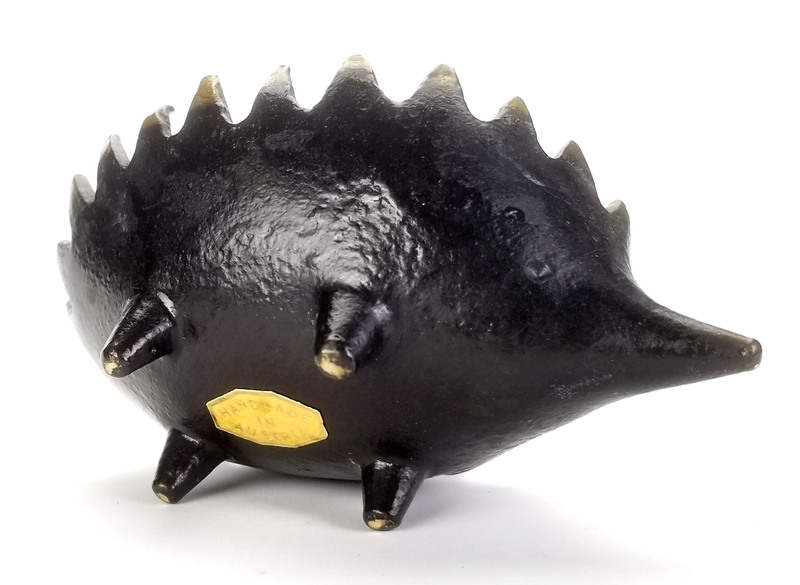 These famous nesting creatures have not been available since the 1960s, and now is your chance to own them in brand new condition, straight from Bosse’s original master molds. This limited edition batch will be available exclusively through Fab.com, along with corkscrews and a selection of miniatures starting today. 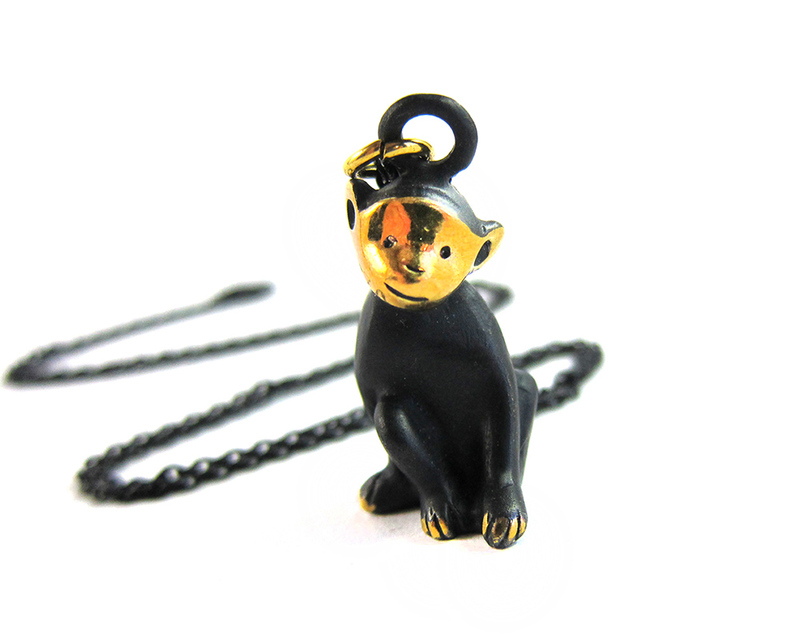 Quantities are extremely limited, so get them while they are still available! 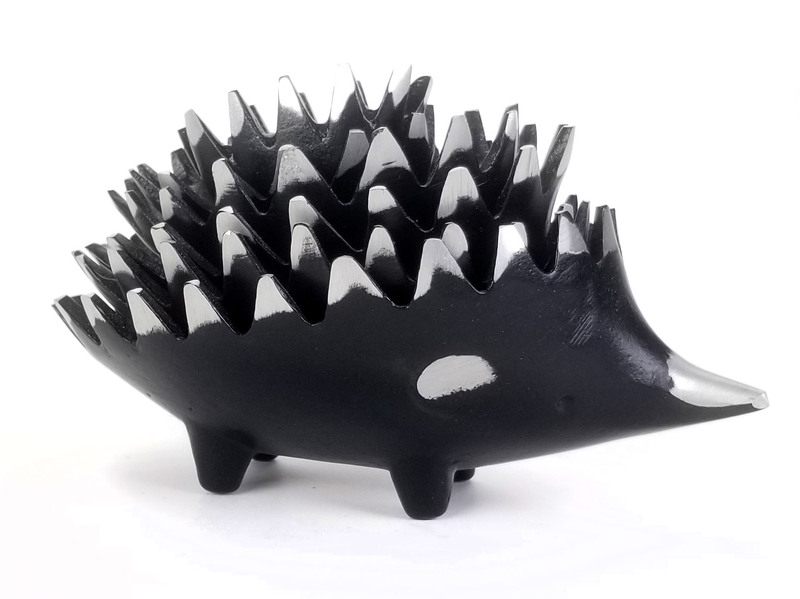 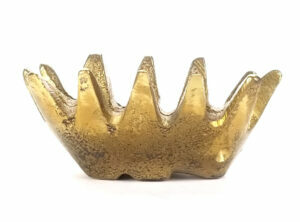 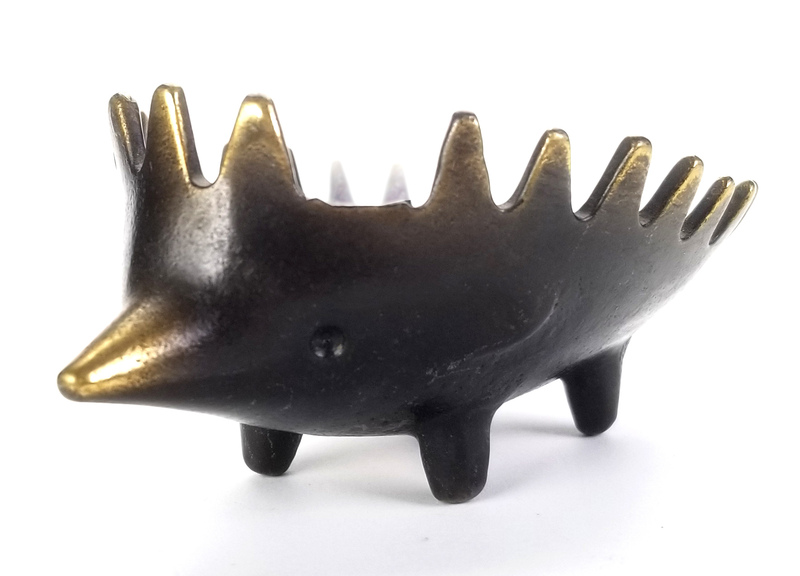 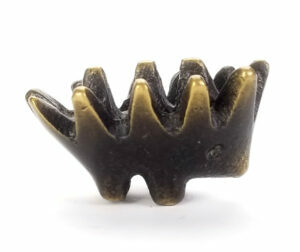 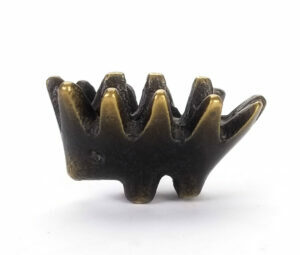 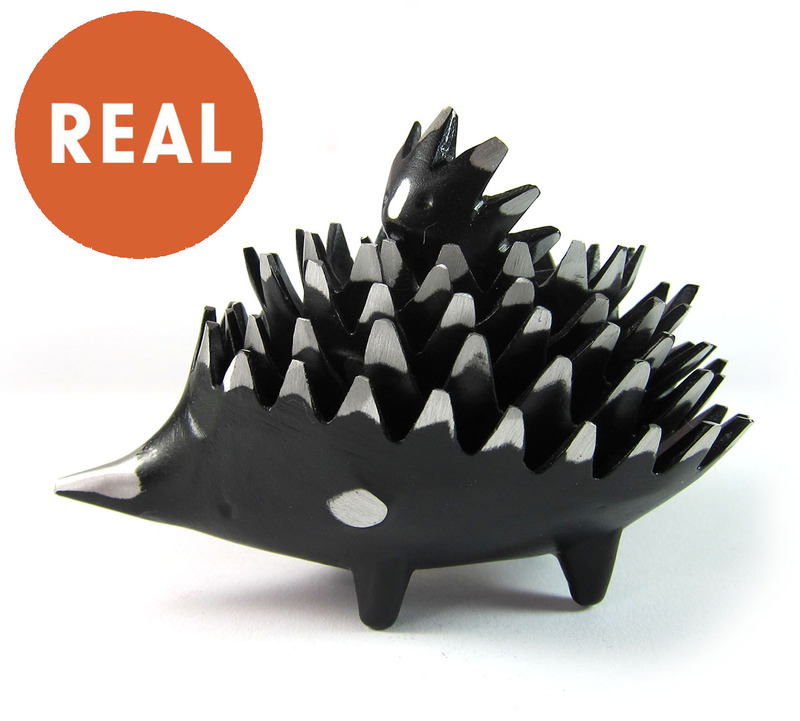 Proudly reintroducing Walter Bosse’s legendary nesting hedgehog ashtrays. Modern Vienna Bronze has released a limited edition of 20 sets of Walter Bosse’s iconic six nesting hedgehog ashtrays, with handmade wooden crates and letterpress-printed certificates of authenticity. 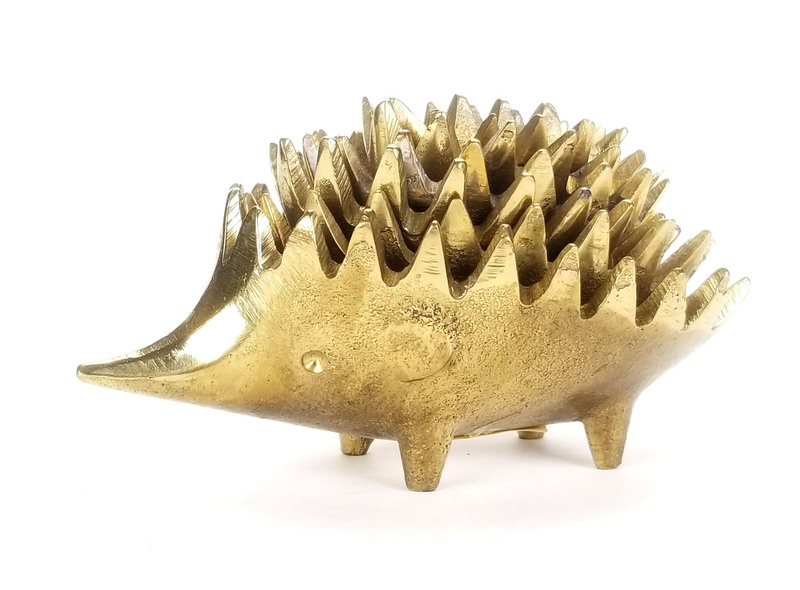 These famous nesting creatures have not been available since the 1960s, and now is your chance to own them in brand new condition, straight from Bosse's original master molds. 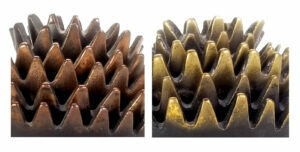 Each set comes packed in a custom, solid wooden crate, nestled in shredded paper bedding. 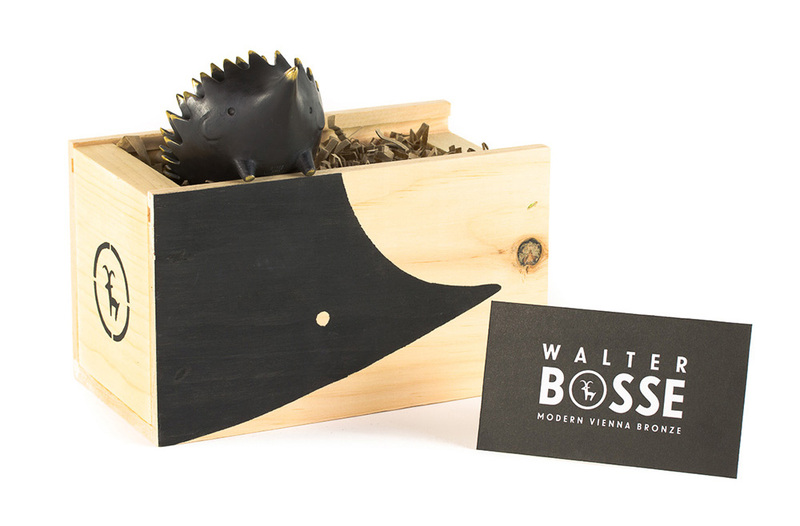 The boxes are topped with a sliding slatted wooden lid, and decorated with hand painted hedgehog silhouette and Walter Bosse graphics on the sides. 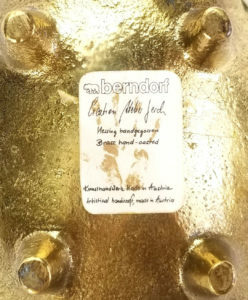 The certificates of authenticity have been masterfully letterpress printed, with hand-applied gold dust on the logo. 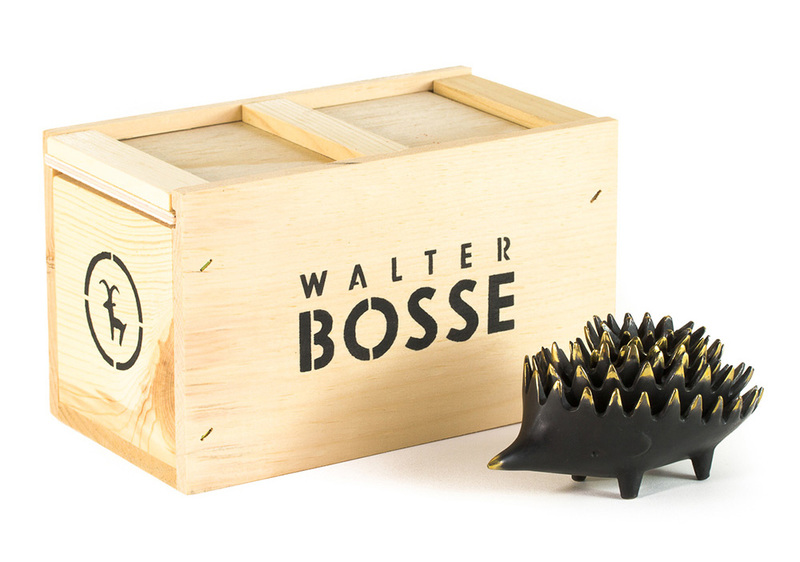 Where can I get my Walter Bosse hedgehog set? 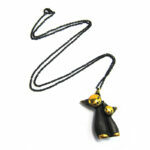 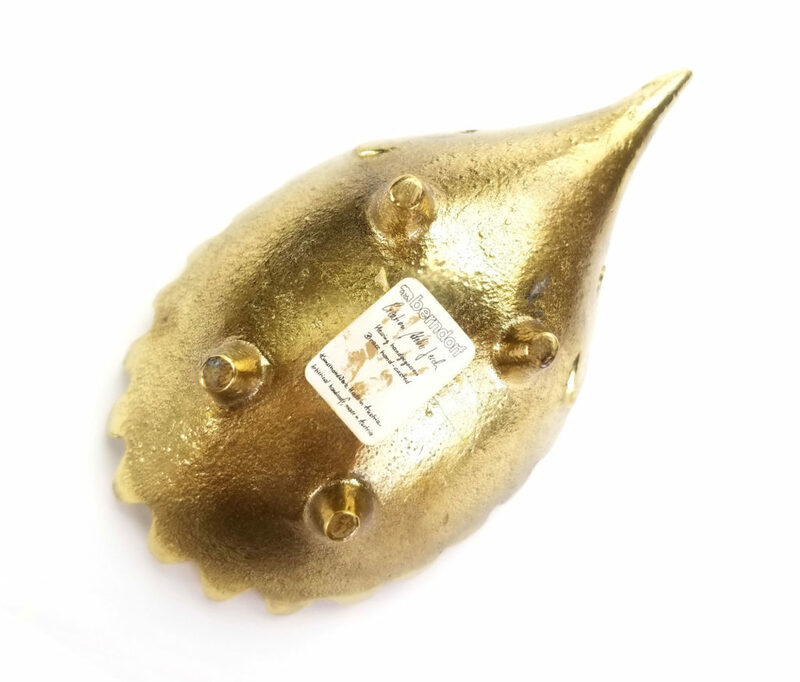 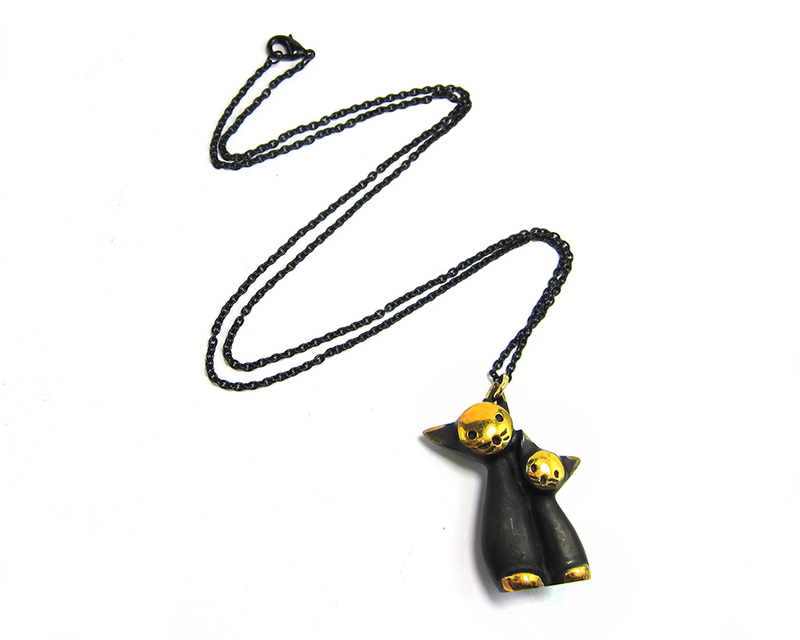 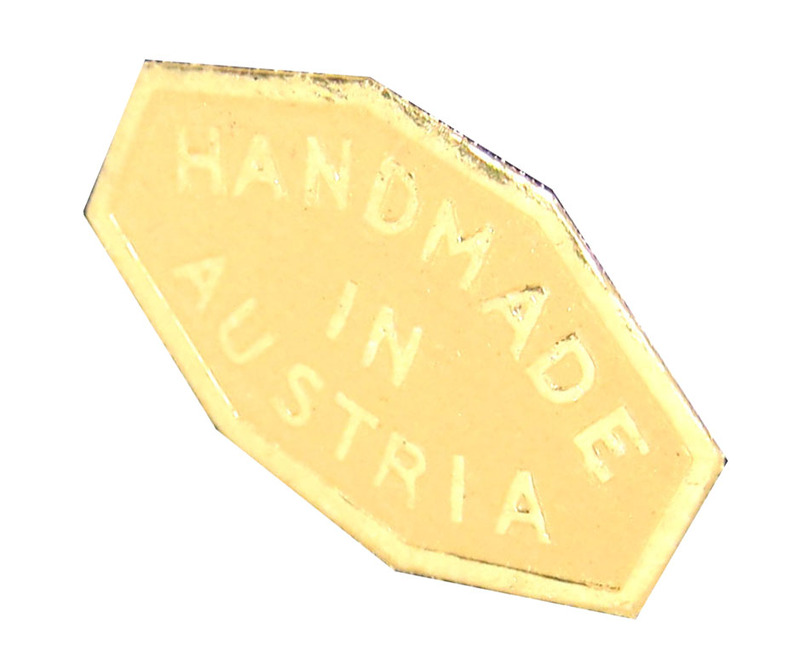 This limited edition batch is available through the Modern Vienna Bronze shop. 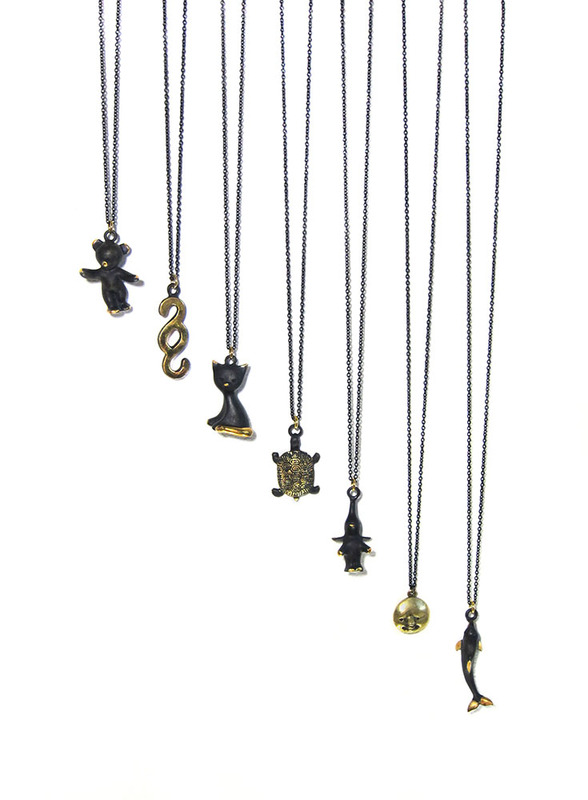 Quantities are extremely limited, so get them while they are still available! 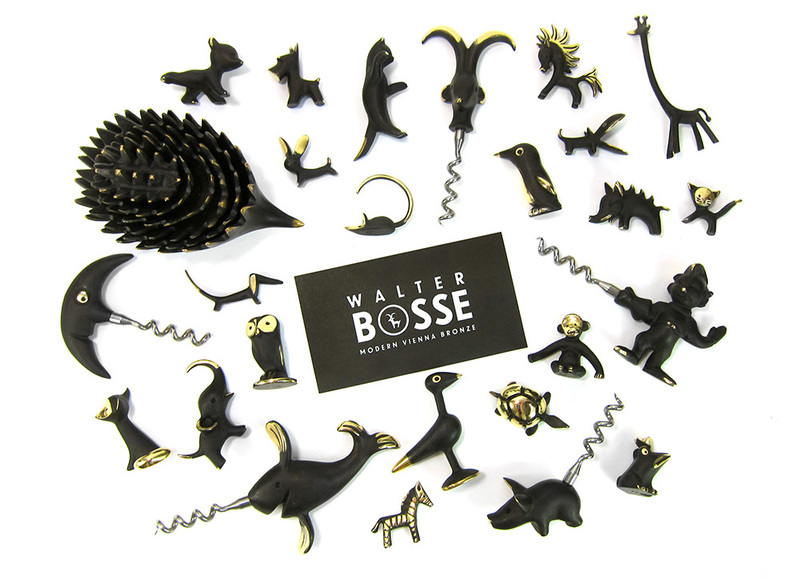 In 1952, Walter Bosse moved from Austria, his home since 1904, to Iserlohn in Western Germany. 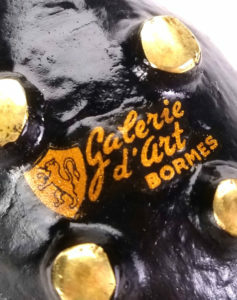 During this period spent in Germany, Bosse was prolific. 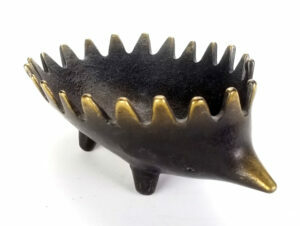 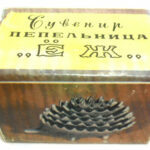 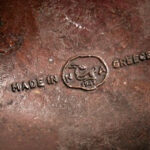 Myriad new creations were produced, and in the late 1950s, the hedgehog ashtray was born. 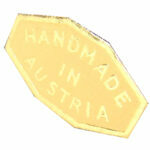 The revolutionary new design was immediately successful, and Bosse was not able to keep up with demand on his own. 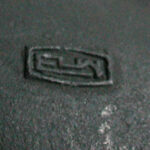 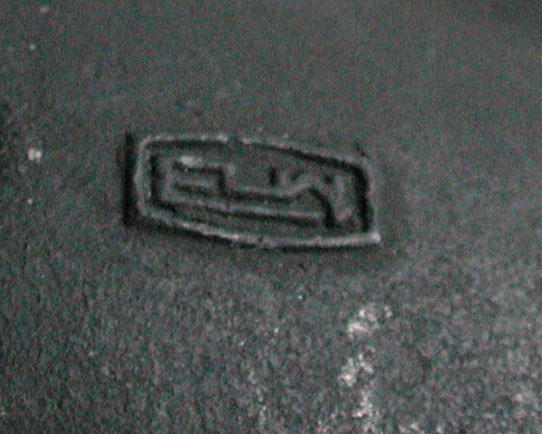 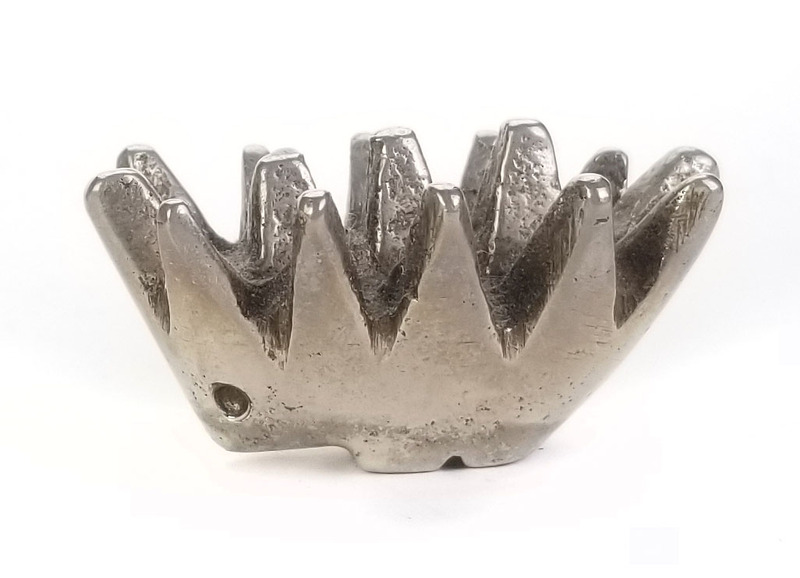 He sought partnerships with larger foundries, but his business relationships were fraught with trouble. Some of his suppliers would use his molds without authorization, casting additional models to be sold from underneath him. 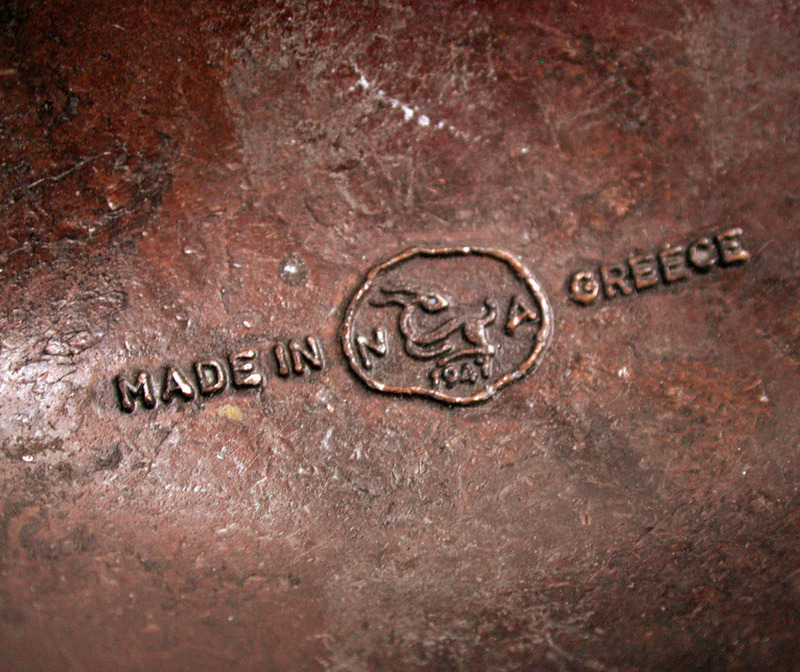 Others simply created their own facsimiles (with varying degrees of allegiance to the originals). 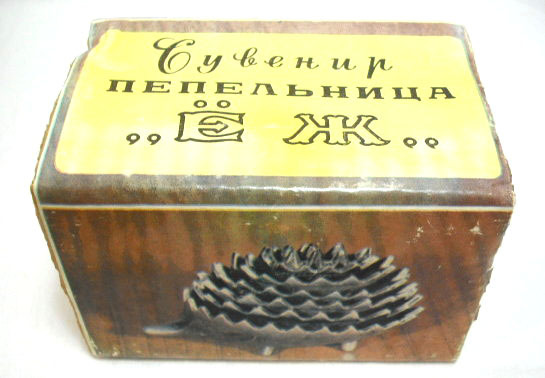 Even the Soviet airline Aeroflot produced their own unauthorized sets as promotional gifts for frequent flyers. 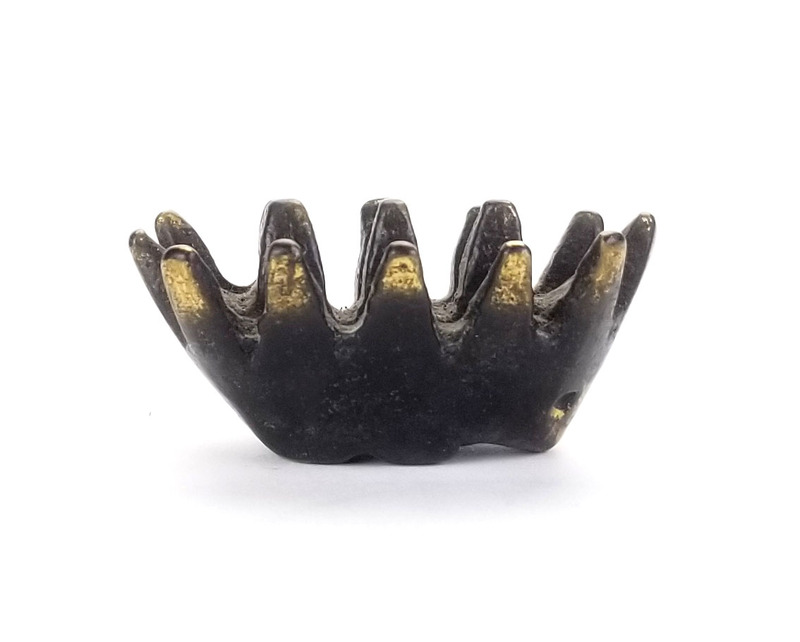 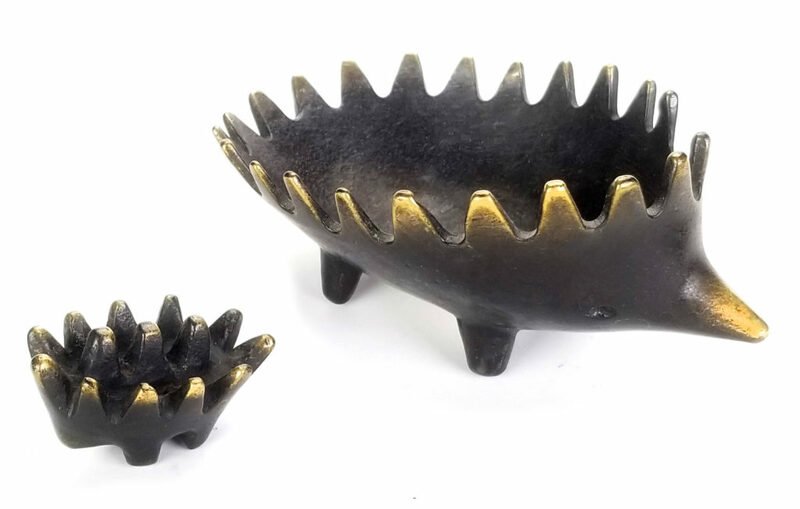 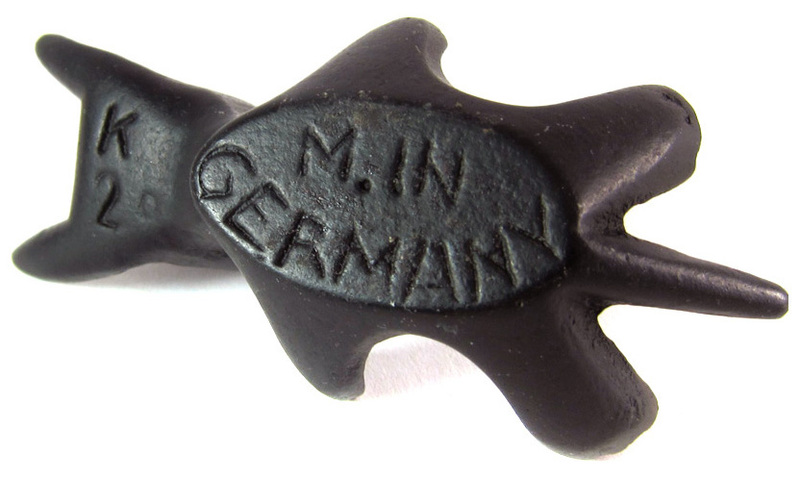 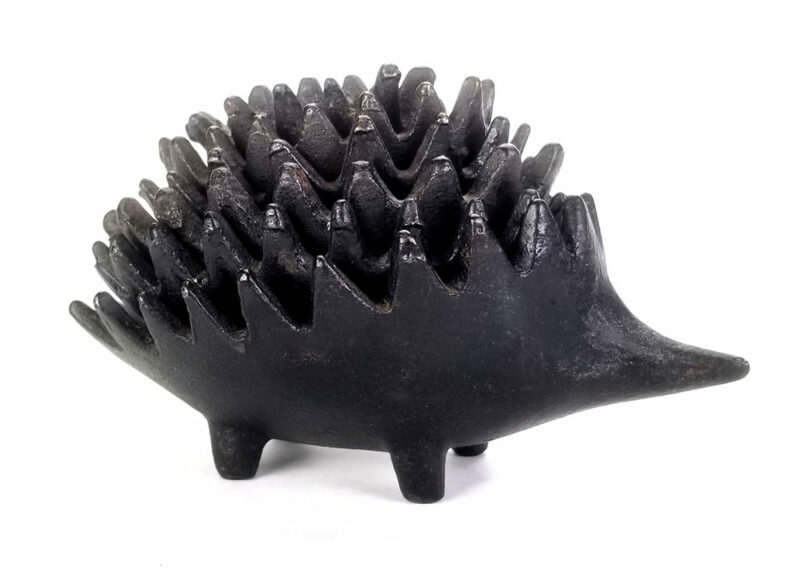 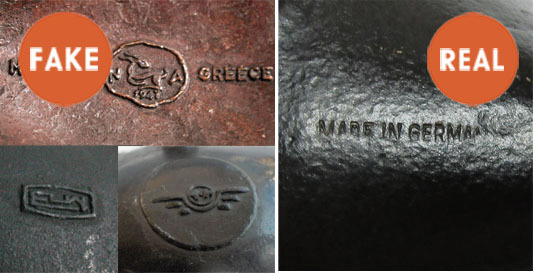 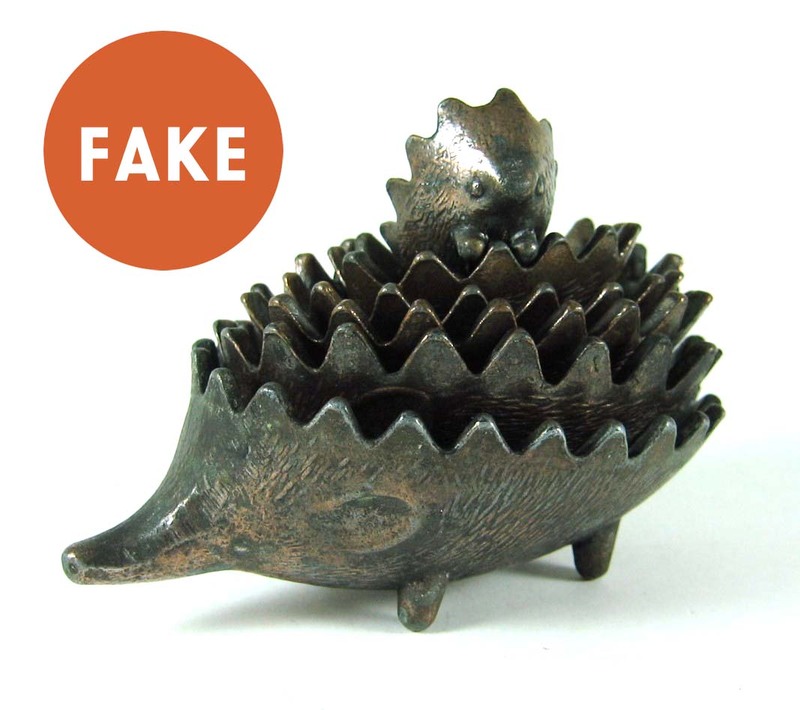 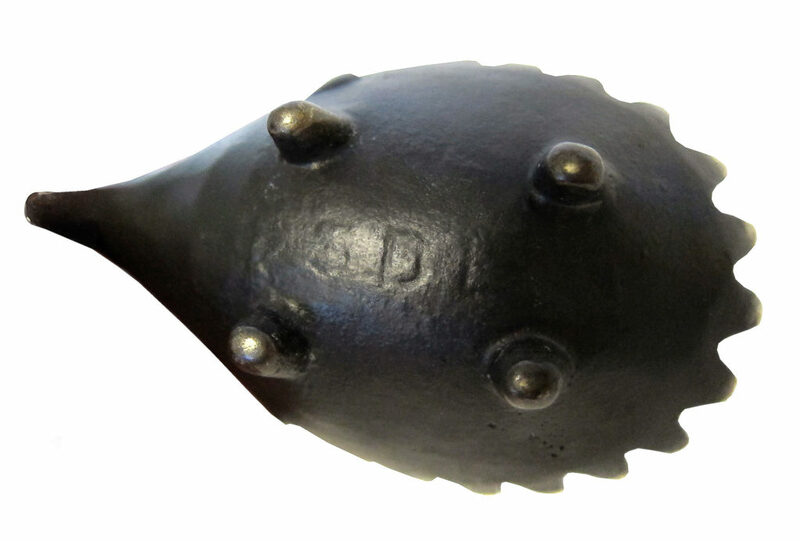 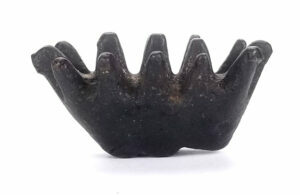 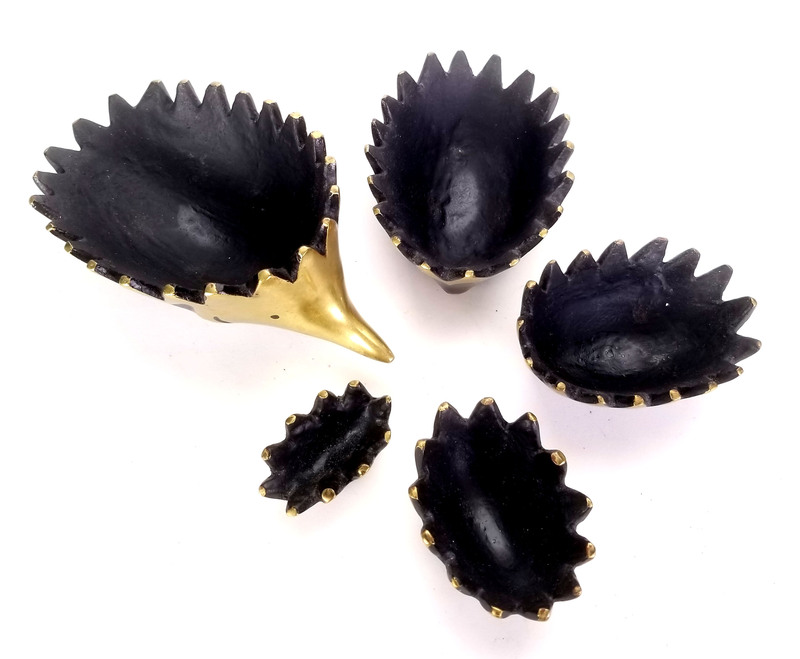 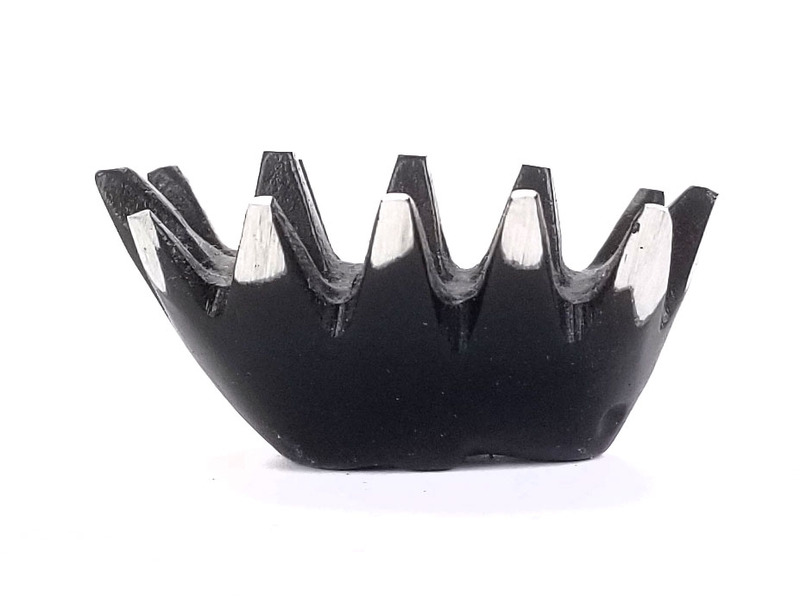 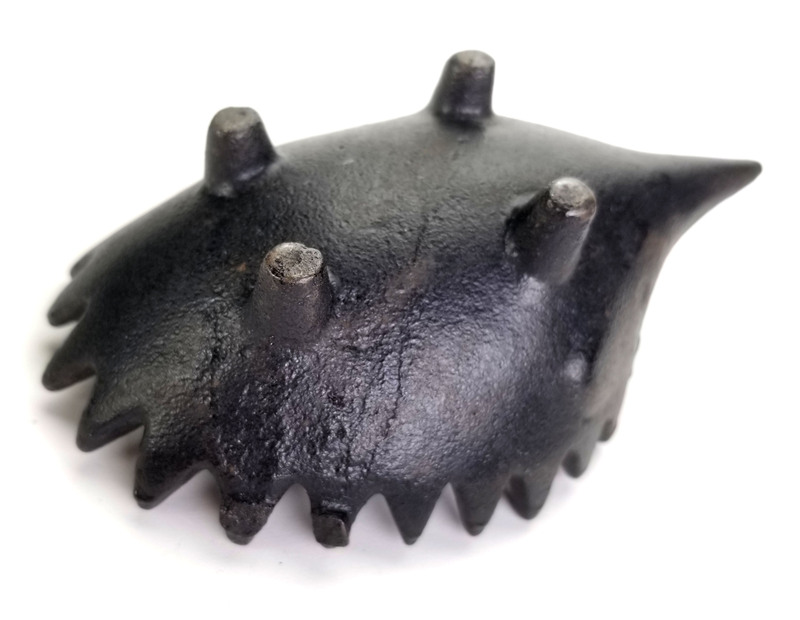 Thousands of copycat hedgehog ashtrays flooded the market, with examples identified from Spain, Greece, England, Germany, and Austria. 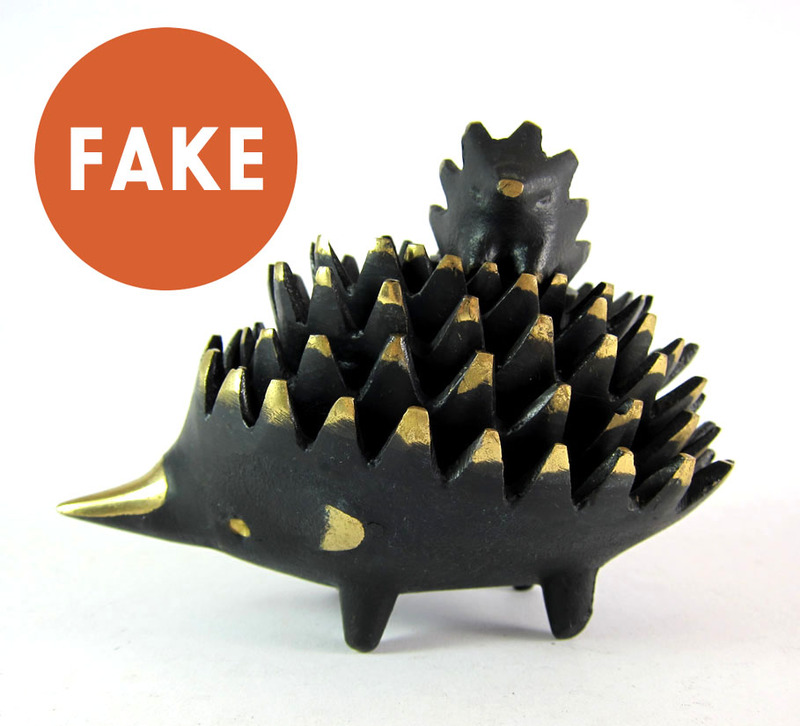 Many of these vintage forgeries are being sold online today using Walter Bosse’s name. 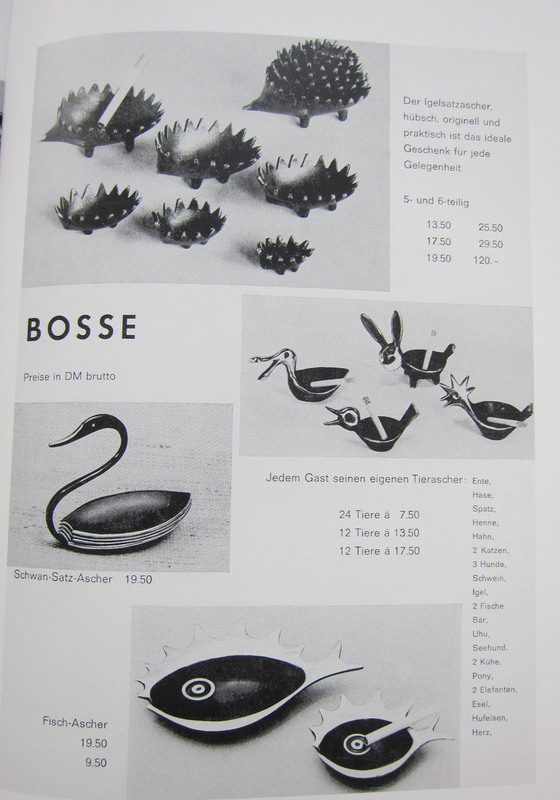 Bosse persevered despite the difficulty he had in protecting his work, and continued to sell his own sets. 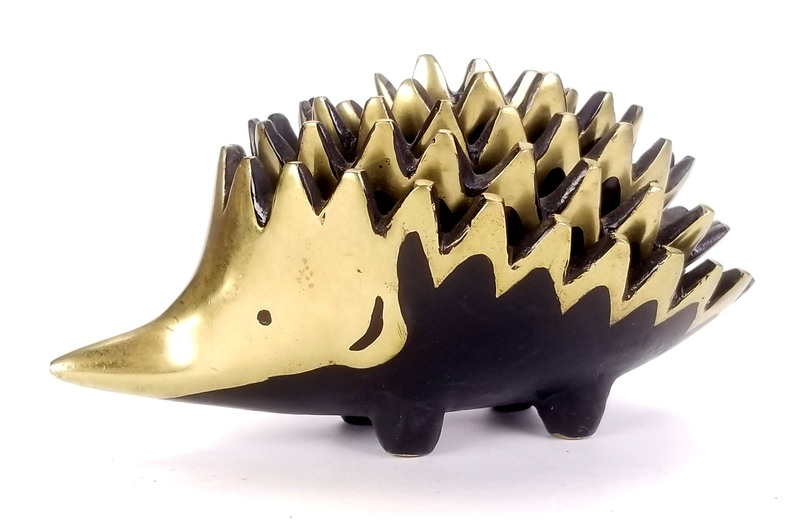 At one point, Woolworths offered Bosse millions in exchange for the right to produce the hedgehogs in mass quantities, but Bosse refused, recognizing that mass production on such a scale would necessarily impact the quality and craftsmanship of the merchandise, and ultimately hurt his name. Bosse fought hard against the counterfeiters, making tremendous personal sacrifices to protect the integrity of his work and his name. 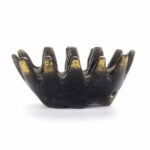 His legal battles set precedents in the protection of copyright and intellectual property for creative artists. 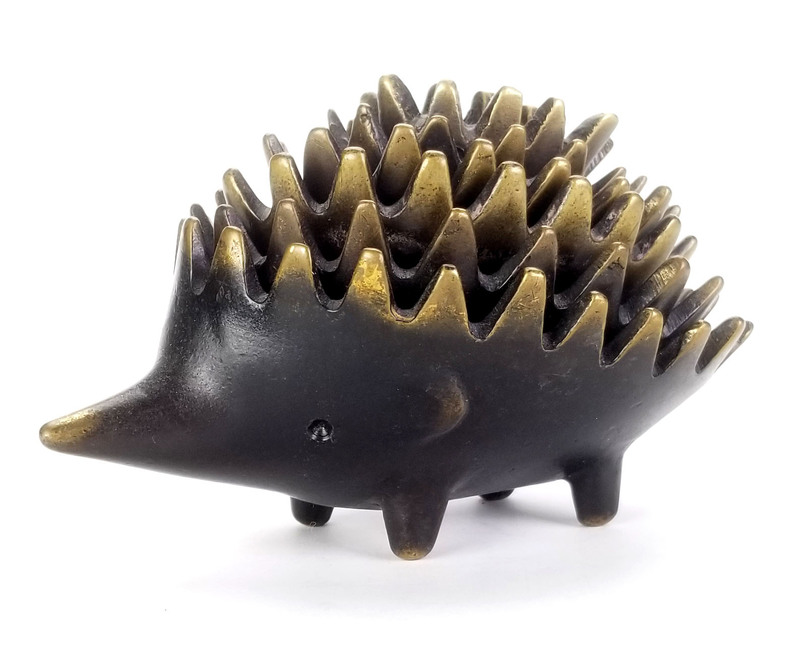 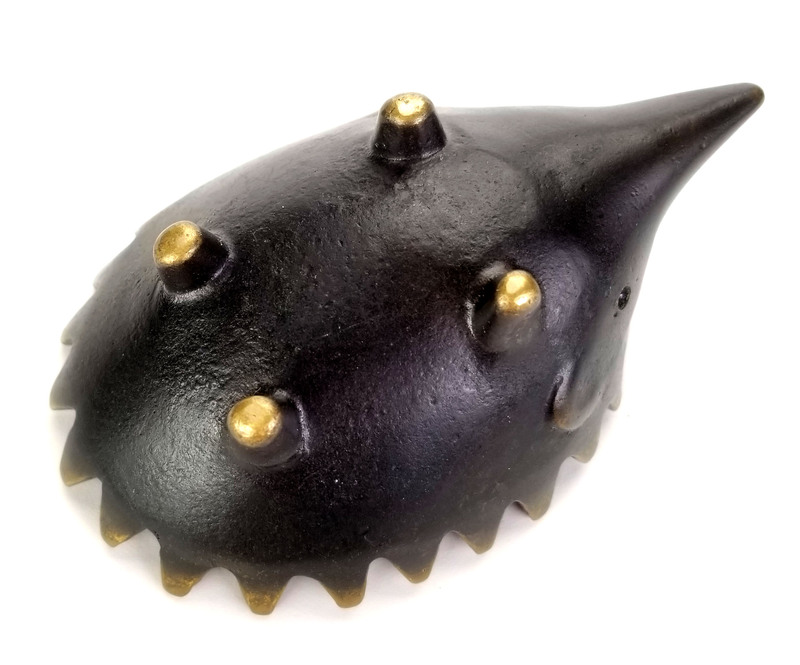 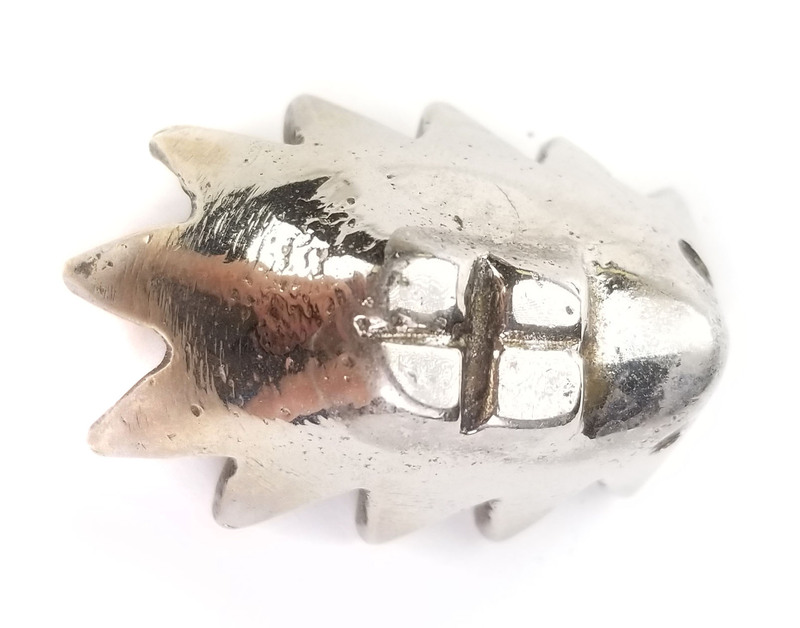 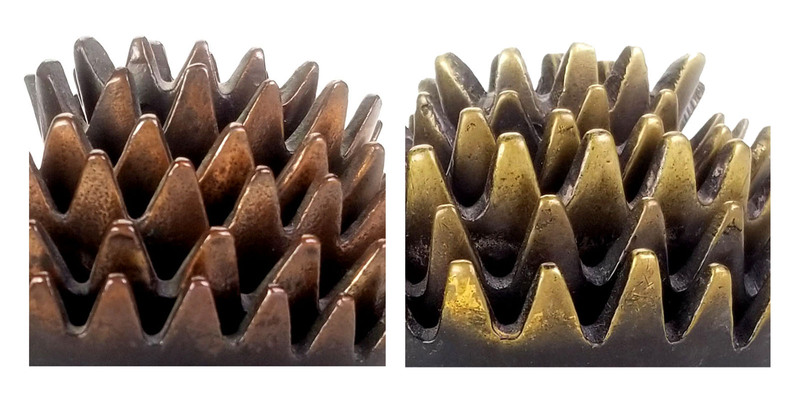 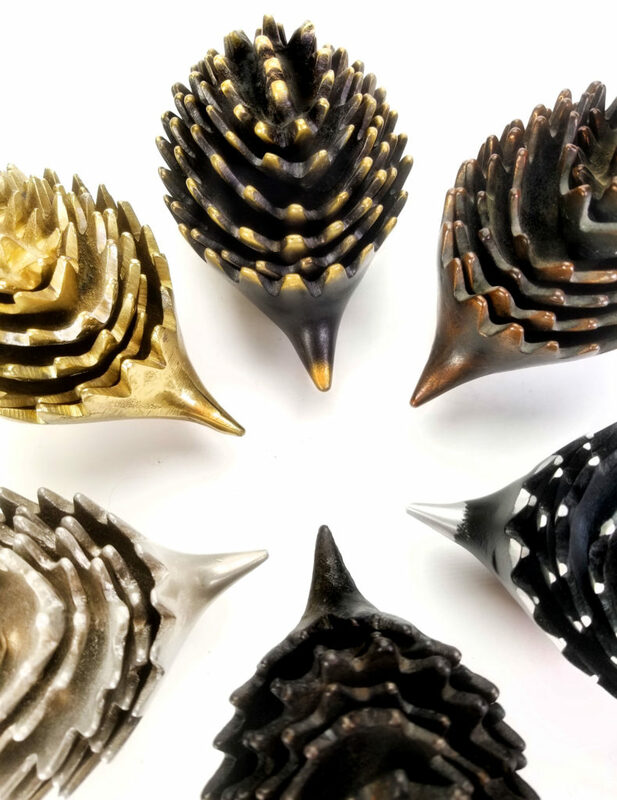 We look at this new generation of hedgehogs as an opportunity to honor Bosse’s work and legacy, adhering to the same high standards of materials and workmanship to which he devoted his life. 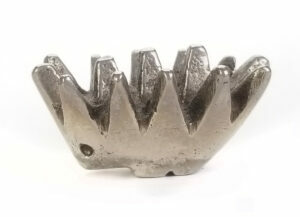 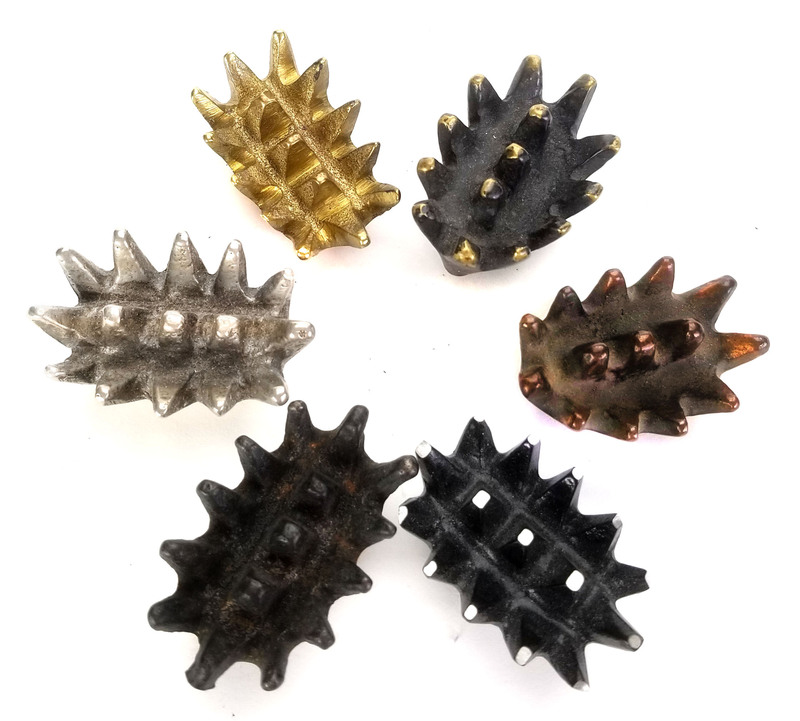 Bosse’s set of hedgehog ashtrays consists of six individual parts. The length of the largest hedgehog is about 115mm. 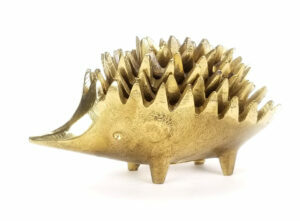 Bosse’s hedgehogs were cast only in brass. 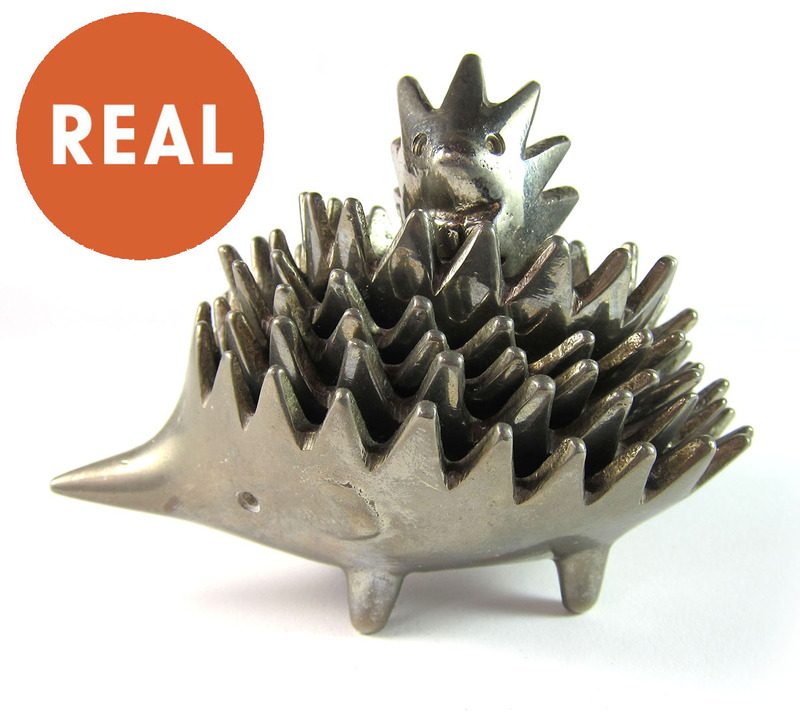 Bosse originals were polished and patinated in a manner consistent with those shown in our photographs. 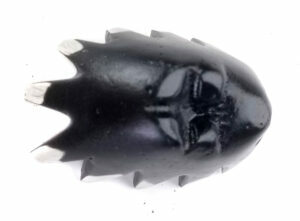 The eyes of the hedgehogs are small, concave indentations; many fakes and forgeries feature protruding, convex eyeballs. 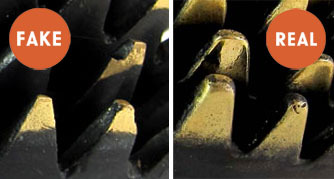 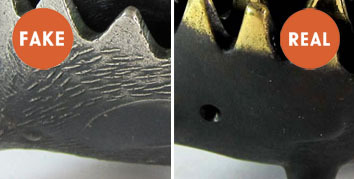 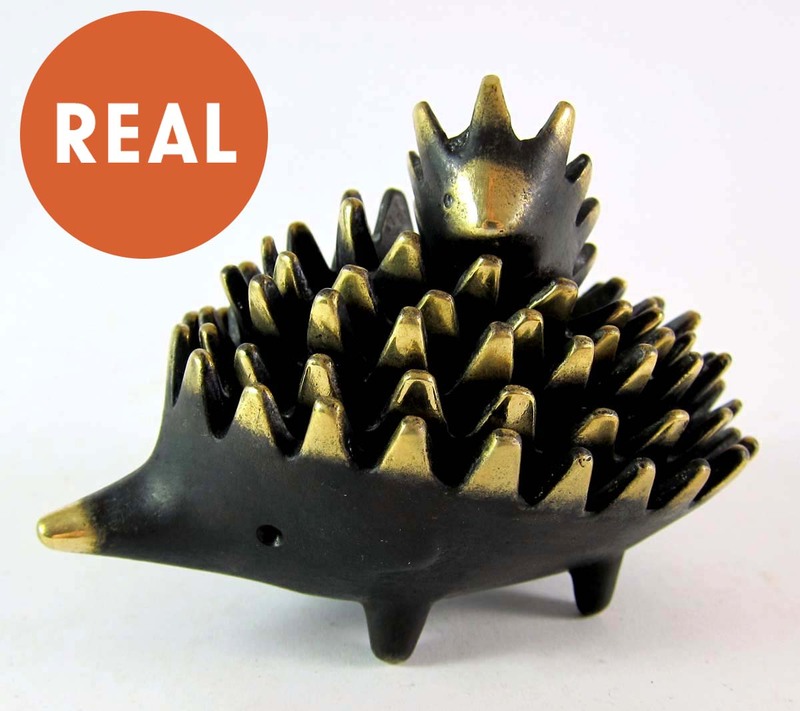 Many fakes include textured fur on the sides of the hedgehogs; this is incorrect and indicates a copy. 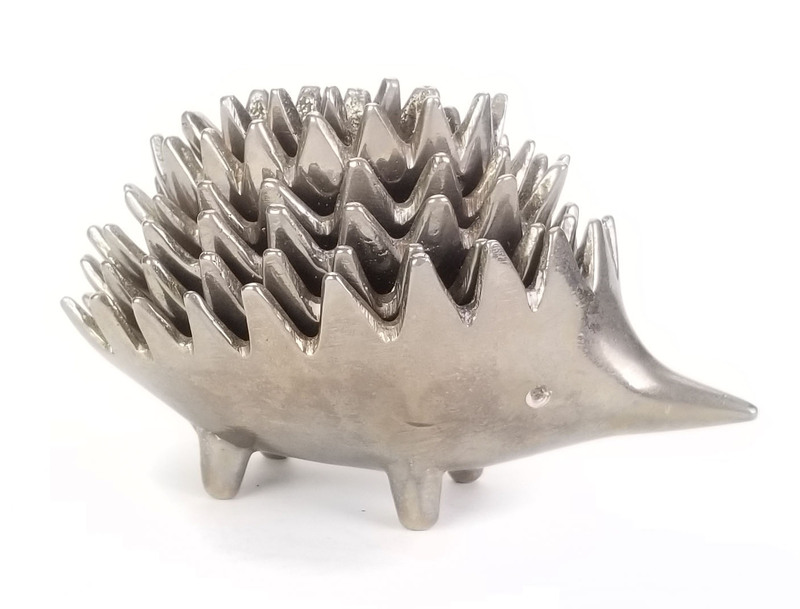 The surfaces of original Walter Bosse hedgehog ashtrays are smooth. 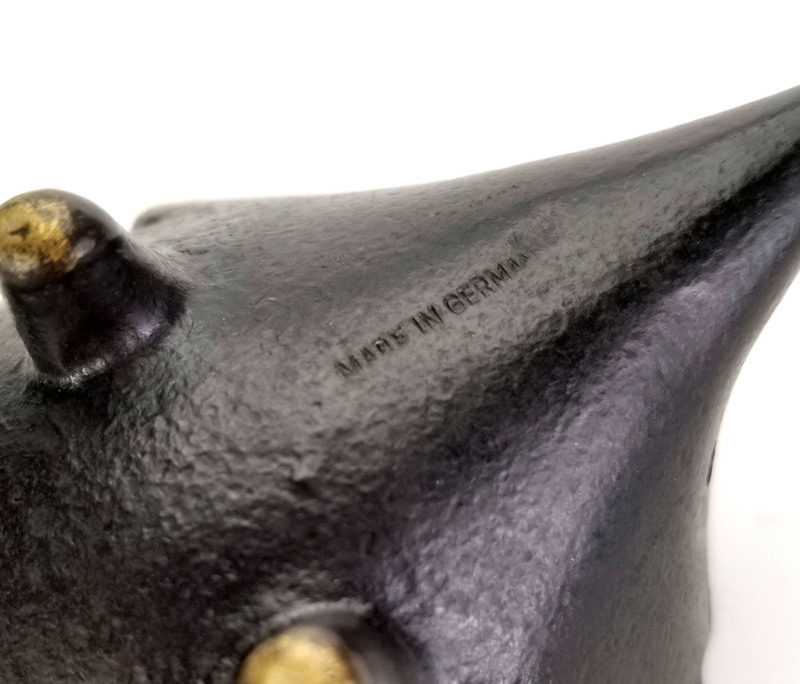 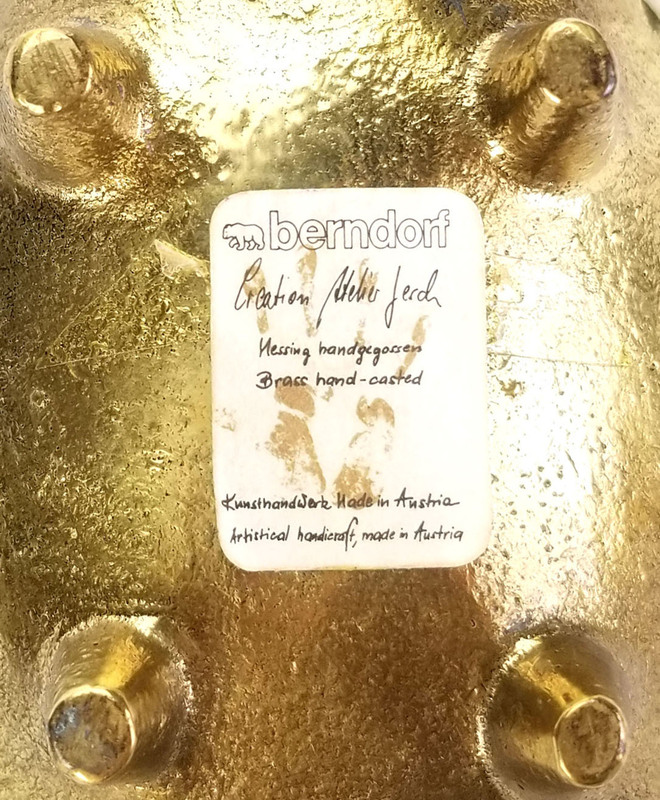 As an additional mark of authenticity, our reintroduced Bosse hedgehog ashtrays are marked with “Bosse Austria” on the underside of the largest hedgehog between the front legs. 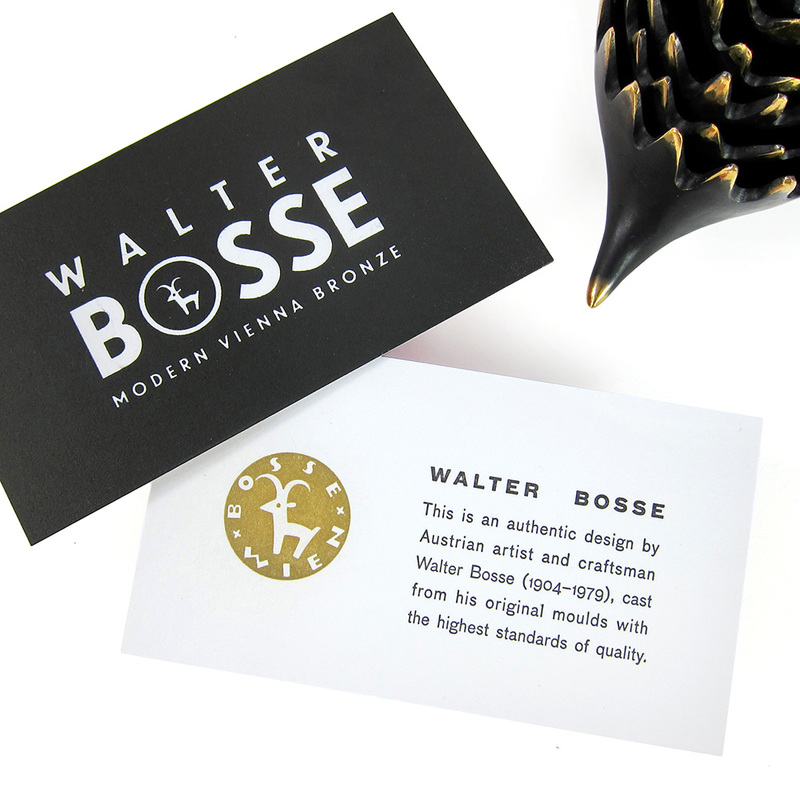 We are proud to be able to give Walter Bosse collectors worldwide a new chance to own the design that best represents his life’s accomplishments. 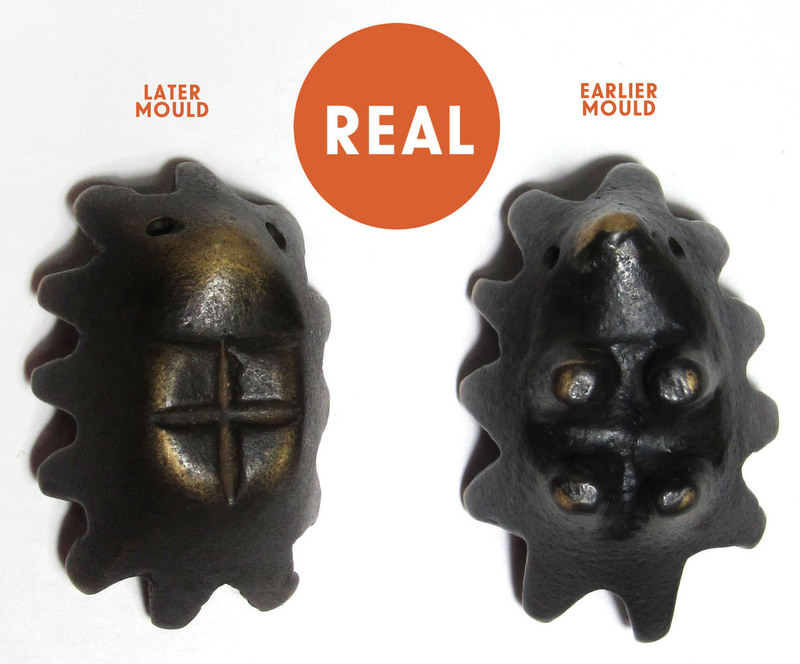 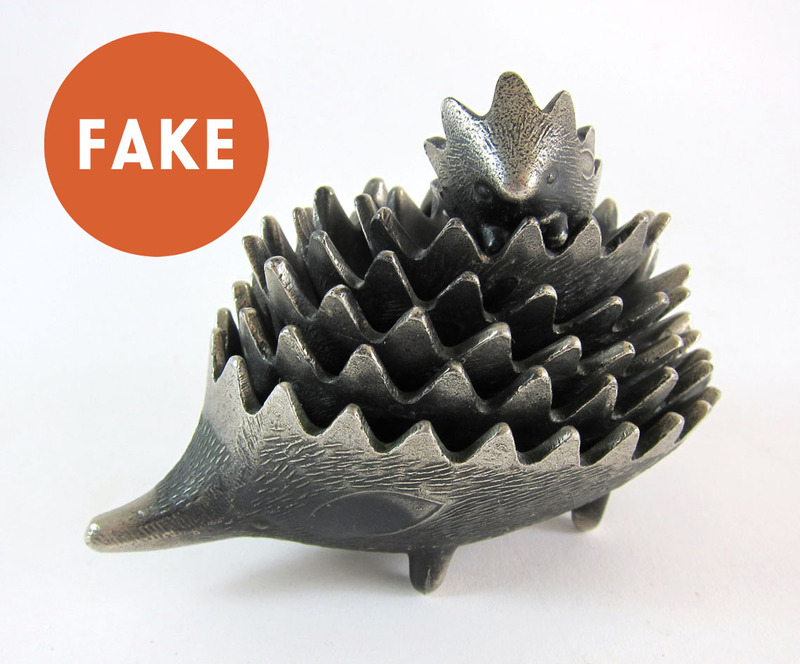 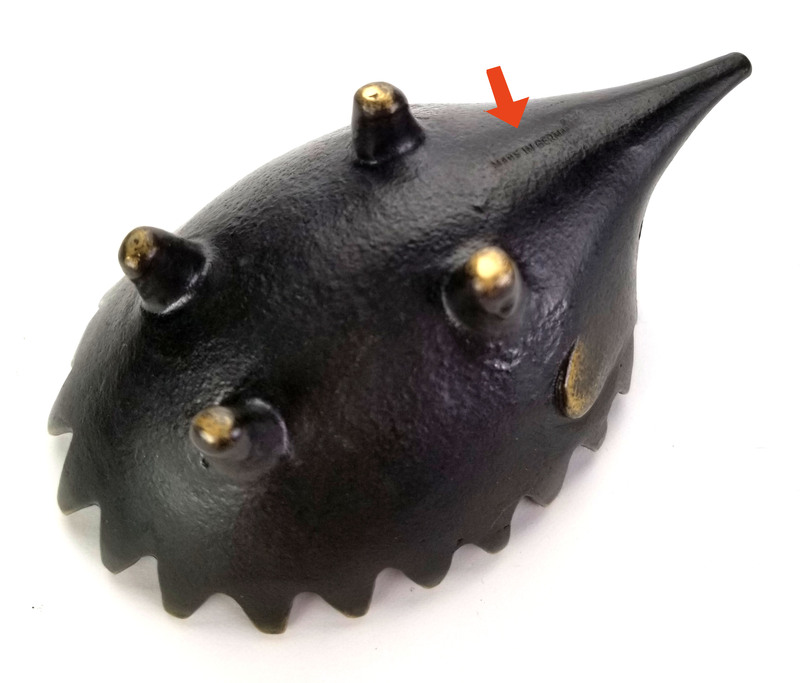 More information on spotting the differences between original Walter Bosse hedgehogs and fakes can be found here.